Do I really need to introduce the concept behind social media and its popularity? Of course not, because the frenzy of social media has occupied the different ventures of businesses and the industries through the promotion. In the wake of app development journey, the most significant part which differentiates an app from a successful app is the number of downloads your app receive, which can only be made possible with the right dose of marketing done for your mobile app. 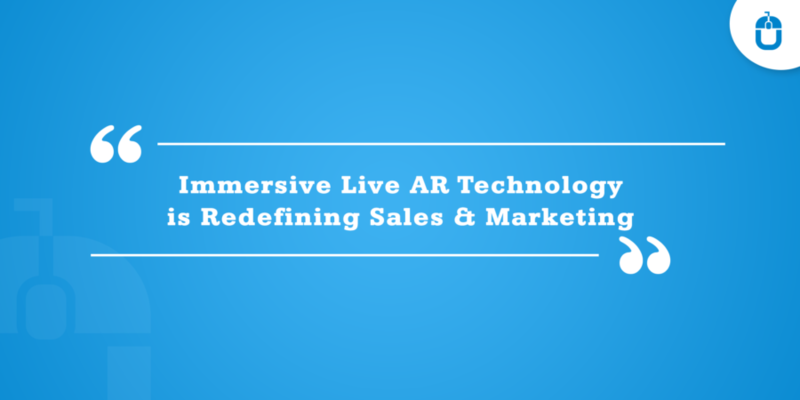 Marketing, this concept sounds so interesting and triggers the innovating vibes in your mind, and you feel bound to think of creative measures to optimize the best marketing plans for your mobile app. The different marketing channels get a streamlined process through social media, which plays an important role in mobile app marketing. The very fabric of app marketing is filled with many marketing opportunities that help your app concept to get popular with a much wider range of audience. With the social media, there are a number of ways, through which you can target the sharply focused audience, who only focus on your app and look for the ways to attain your services, hence with a mobile app you offer them, what they are exactly looking for. As social media has the capacity to keep your app distributed to a larger number of audience with its promotional methods. This all sounds so great and wonderful, and you feel that there will be a happy ending to your app promotional channel, but then you suddenly are being told, that this social media can go wrong for your mobile app can be counter-productive if you don’t pay attention. In order to help you pick the right strategies, let’s understand the number of Do’s to be followed for when it comes to social media promotion for your mobile app. The social media concept is ever-growing and is engulfing the promotional activities of different business efficiently. Thus, when it comes to your mobile app, you must utilize its every functionality to capture the attention of users. You must Tweet about every activity pertaining to your mobile app. It is the best way to connect with your targeted audience and make a connection with them. With the platform of Twitter you can explain the latest activities, achievements and other aspects of your app. The popular hashtag helps the users to find out about your app and carves out the specialty of your app in front of your users. This would help your app to get the additional promotion of your app. 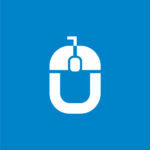 The content holds the worth of acknowledging the services, in the eyes of users, with the power of words. It is a known fact that every content works only on the readers’ psychology and encourage them further to make the required action. There is a fair chance that your app market would be saturated with the same genre of app, and your app might lose the charm. But with the interesting words telling your users, that how an app can help them to survive the game. Henceforth you must pick the engaging and interesting set of words to describe your app. The worth of Facebook is not unknown to anyone, it is one of the most popular social networks, which helps the users to stay connected and share the opinions and check different sets of information through Facebook. This platform is the most engaging version of connection users across the globe, allowing various types of channels to help you optimize the single platform to interact with a variety of users from all over the globe. Hence, ensure that your app possesses a robust presence on Facebook, this would help your mobile app to stay available to your audience on this platform and help your targeted audience to stay in touch with your mobile app. The videos of your mobile app features hold the maximum relevance to showcase the functionalities of your app in much detailed format to the users, wherein they can see the real-time information about your app and how the functionality works. You must create interesting videos of your app that helps the app to present its functionalities in a better way by doing its basic app UI, app navigation and so on. However, in this strategy, just ensure that video is of good quality and includes every right set of information, helping users to understand the app and its functionalities deeply. 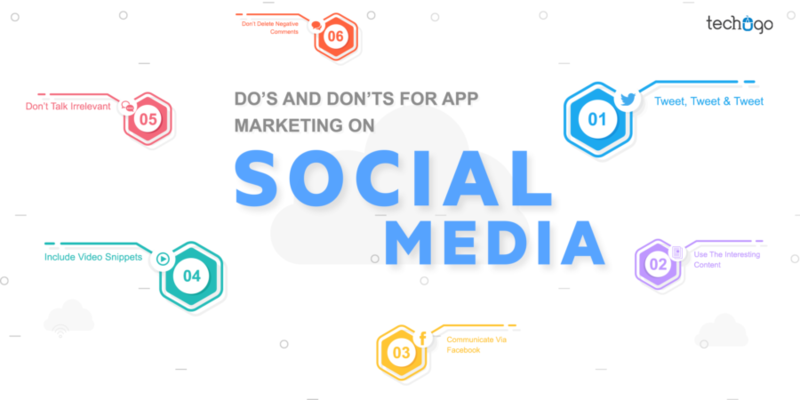 Now let’s take a look at some of the disturbing Don’ts to be avoided for your social media marketing of your mobile app. The mobile app concept you hold has the majority of features and functionalities to be offered to your users, but your users are not willing to know that what all is going on in your app, but what they are willing to know is that how this app can benefit them. Thus, don’t go Yada-Yada-Yada about your app and discuss its features, but keep your focus closed to the fact that how you can explain the number of benefits to be offered by your mobile app, to the users. Trust me when it comes to read or watch about your app, your users hold very less patience and they cannot afford to read everything about your pp, so don’t try their patience, and keep your efforts involved only in showcasing the app’s USP which can help the users. Your app is your masterpiece, but it is also a fact that it would not receive the positive words always, but there are many situations where your users may backlash at your app. So be ready for such situations, and don’t be a cry-baby by seeing that negative comment, rather be brave enough to fight that comment, by offering something better than before to your users. With social media you have much more to explore and experience, but keep a check on these mentioned strategies, and help your app to reach to maximum audience, but ensure your app is designed and developed by a leading mobile app development company , to help every inch of your app, to come out as a perfect solution for your business.